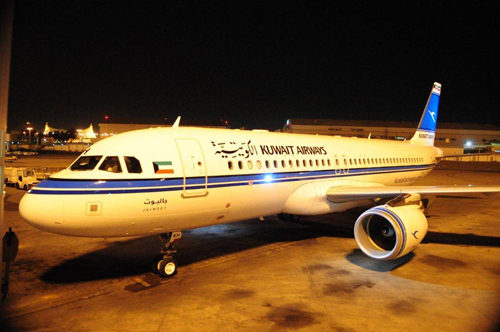 Kuwait Airways receives two new Airbus aircraft A320 on 28th February 2015 and 2nd March 2015, as part of the agreement to develop Kuwait Airways fleet. 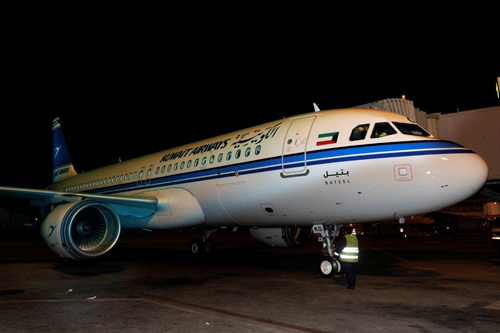 As of now, the number of aircraft, Kuwait Airways receives till present are four of the same type. The receiving of the remaining three aircraft will consecutively be during the months of March and April 2015. Thereafter, KAC receives five aircraft consisting of Airbus A330 from May until November 2015, which will represent the first phase of development of the fleet. Kuwait Airways fleet development program also includes an agreement to purchase twenty five aircraft from Airbus consisting of A350 and A320 Neo, as well as ten aircraft from Boeing, comprising of B777. Meanwhile, Kuwait Airways Chairperson and Managing Director – Mrs. Rasha Abdulaziz Al-Roumi, Chief Executive Officer (CEO)- Abdullah Al-Sharhan, Department Directors and senior KAC officials were present to receive the two aircrafts at Kuwait International Airport.